R.B.G. Grinder Stands. 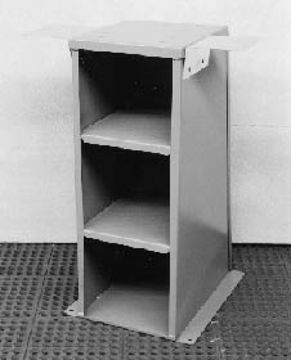 A complete line of stands are available for RBG Grinders, heavy duty shelf stands are formed steel shelf stands. All RBG stands are designed to accommodate RBG Grit Collectors and Dust Control Units.